the friday five. - j'adore couture. hey friday…good to see you again. any fun plans this weekend? i’m going to a special screening of black panther tonight with sara hosted by woodford reserve and i could not be more excited! besides that, i have some work to do (boo), but it’s going to be a sunny one so definitely plan on spending some time outside. proenza schouler just released their first fragrance, arizona, inspired by the desert. as designers, doing a scent is a very long and painstaking process, so it was cool to hear more about it from them and because they are the cutest, get a glimpse of their beauty routine. of course i’ve pre-ordered it so i’ll let you know my thoughts. opening ceremony, known for their fun shows and clothing pieces, will stage their spring 2018 runway show at disneyland next month. it will be the first show to be held at the self-proclaimed “happiest place on earth” in 40 years, mickey, minnie and the gang are no strangers to fashion but it remains to be seen if the brand has collab in the works. rag & bone was another brand that skipped this fashion week and instead released a short film called “why can’t we get along” for their spring 2018 collection. directed by dancer & choreographer benjamin millepied with a soundtrack by radiohead’s thom yorke and starring kate mara, ansel elgort, and a bunch of dancers and parkour artists. also check out the behind the scenes video…so interesting! 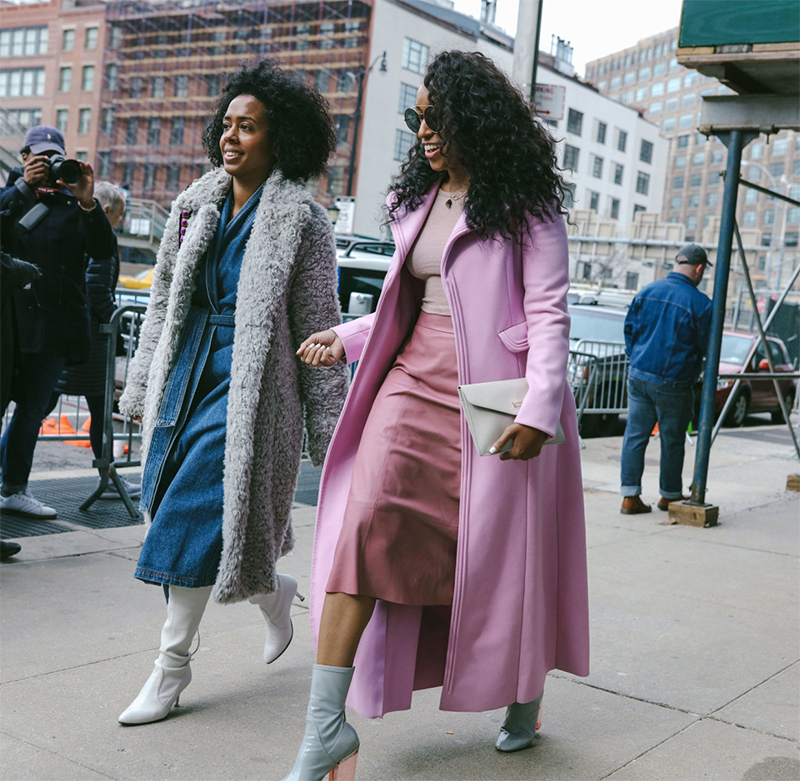 i don’t get as excited as i used to when when it comes to fashion week street style (especially not in new york), so it was interesting to read this article on fashionista about the lack of diversity—mainly real and plus sized people—in street style round-up’s. while i do believe minority representation has increased (thanks to editors like nicole chapoteau and shiona turini, above), you will hardly ever see anyone over a size 4-6, and i know there are lots of stylish women out there in that range. my friend lydia was quoted in another article on this from teen vogue; she did some street style photography this season, and i really appreciated her eye and fresh point of view. i’ve also loved the videos done by tyler joe; it puts a fun spin on street style. being part of a design duo isn’t always easy, so i was bummed to hear that the team behind cushnie et ochs was splitting up. michelle ochs is leaving the company and carly cushnie will remain with the brand. they just presented a beautiful 10th anniversary collection earlier a week ago inspired by late architect zaha hadid. i really adored this female team so i’ll be keeping a lookout on what they do next. my favorite looks this week were from merritt, jenn, denisse, alicia, and candace. have a lovely weekend! Previous Post little gray dress. Next Post february chill / mixing prints.